I’ve written lots about the Southwest Companion Pass! It’s still my favorite deal for domestic travel, and it’s easy to earn now because all 3 Southwest cards currently have a 50,000 point sign-up bonus! With the Southwest Companion Pass, your friend or family member flies with you for close to free on paid and award tickets. It’s almost like flying 2-for-1! 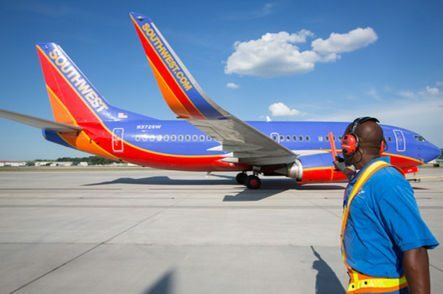 If you live in certain cities served by Southwest, your Companion Pass is an even better deal! That’s because these airports have many more departures and direct flights than others. Do You Live Near 1 of Southwest’s Busiest Airports? If So, Your Companion Pass Could Get You MORE Big Travel! If you live in 1 of these cities, going for the Companion Pass is a no-brainer! Let’s see where they are! According to Wikipedia, Southwest flies to 95 destinations in the US, Mexico, the Caribbean, and Central America. 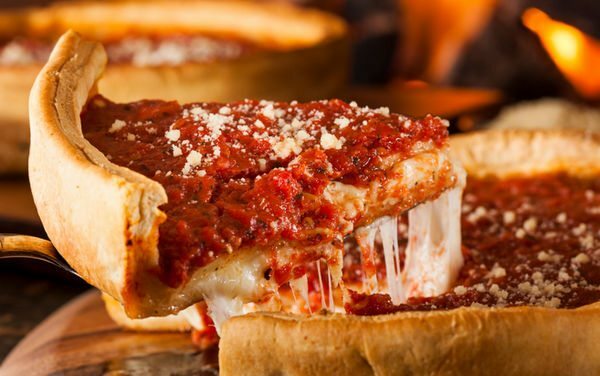 Folks in Chicago Don’t Just Enjoy Amazing Pizza – They Also Get the Most Southwest Flights per Day! Direct flights can often be cheaper (using cash or points) and are more convenient. Having so many flights from these cities gives folks who live there lots of opportunities to make the most of their Companion Pass! 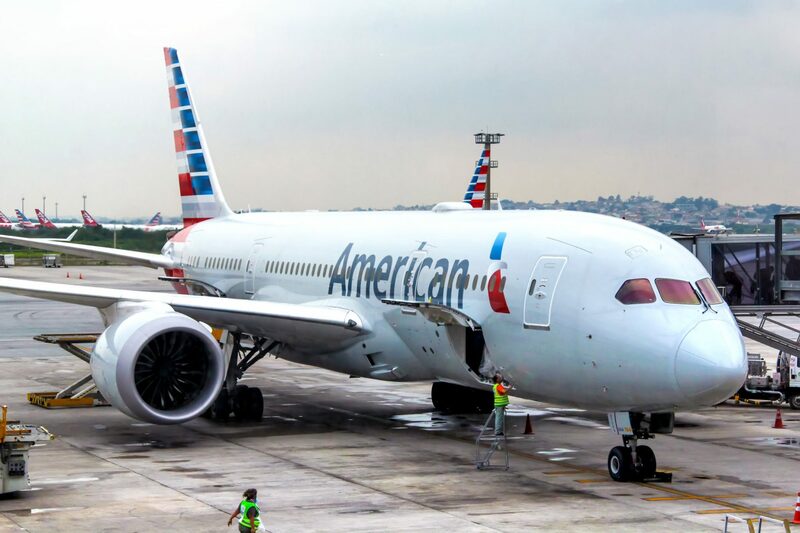 And some of these airports offer non-stop international flights to Southwest’s newest destinations in Mexico, the Caribbean, and Central America. Perfect for a Quick Weekend Getaway! Use Your Southwest Companion Pass to Fly Non-Stop to the Bahamas and Other International Destinations From Certain Cities! You can fly non-stop between these cities for a fast and convenient trip to the tropics! Lucky folks near these airports will have an easier time escaping the cold weather this winter! And with the Southwest Companion Pass, they can bring a buddy along for nearly free! For a limited time, you’ll earn 50,000 Southwest points after completing minimum spending requirements on the Chase Southwest Premier (Personal), Chase Southwest Premier (Small Business), and Chase Southwest Plus cards. Check out my post for the trick to finding the 50,000 point sign-up bonus on the Chase Southwest Plus card! With the sign-up bonus from 2 cards, you’ll get almost enough points for the Southwest Companion Pass. To qualify for the Southwest Companion Pass, you’ll need to earn 110,000 Southwest points in a calendar year. But remember, you’ll also earn points from minimum spending on these cards. And there are lots of ways to earn the remaining points required to qualify for the Companion Pass! Two Southwest Cards Get You Most of the Way to the Companion Pass! Check out my step-by-step guide to getting Big Travel with the Southwest Companion Pass! The Southwest Companion Pass is a terrific deal for anyone living near an airport served by Southwest. Your companion flies with you for almost free on paid and award tickets! But folks who live in certain cities get an even sweeter deal if they have the Companion Pass, because they have access to many more daily departures and destinations served by non-stop flights. And better still if you live near an airport with direct service to Southwest’s destinations in Mexico, the Caribbean, and Central America. 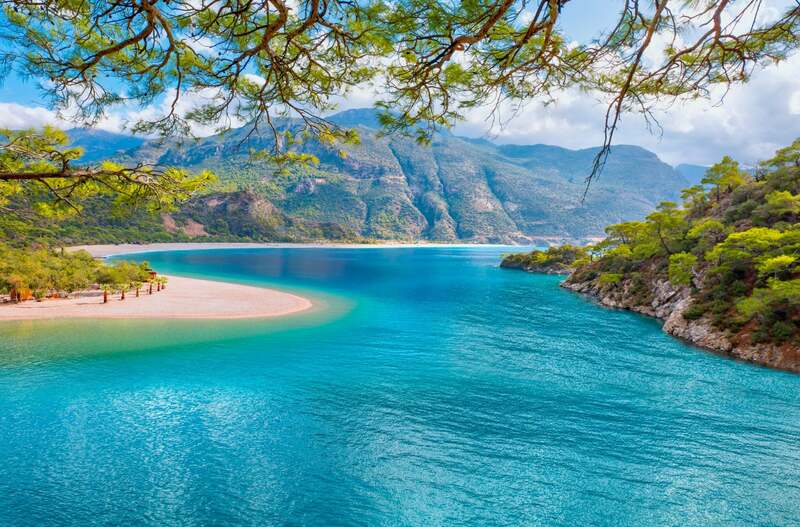 What a perfect excuse for a quick and easy getaway to warmer weather this winter! Do you live near 1 of these airports? How often do you use your Companion Pass? Getting the bonus from two cards in the same year for the CP after a 2 year wait since your last card makes this very difficult to get the CP. Maybe you should include a paragraph about this in all the articles you mention the SW CP as your favorite. It’s not real clear what the Chase policy really is. It seems that links for both the Premier and Plus cards on this page go to the same Premier landing page. Am I the only one running into this? It looks like the newer Chase brakes apply to their other line of cards as well. Was just shut down for Southwest Premier card and I believe this is first denial I have ever received from chase. Rep cited excessive inquiries(6) on Transunion report and too many new credit cards in last year(4). It looks like my only chance at companion pass is to do it the good old fashion way thru actual spending. I still have my Southwest Plus card open and ready to use. @HeavenlyJane – Amazing deal! Congratulations and enjoy your trip to Cancun! @Chris – Thanks, and great reminder that you can get points credited back once you qualify for the Companion Pass. Have fun in Florida! @Nathan – Lucky you, living near so many airports! Glad to hear you got so much travel from your Companion Pass! @Mike U – Terrific! And just in time for winter! @Ryan – Glad you and your girlfriend are making the most of your Southwest Companion Pass! Enjoy! @Will – Thanks, and good reminder about IHG promotions. The higher fees are often due to departure taxes, airport taxes, and the like from those countries. You might consider paying the fees with a card that reimburses airfare expenses, like the Citi Prestige. Or use the Barclaycard Arrival Plus and redeem miles (for $100+ purchases). Thanks for the post idea and for helping out Susan R! 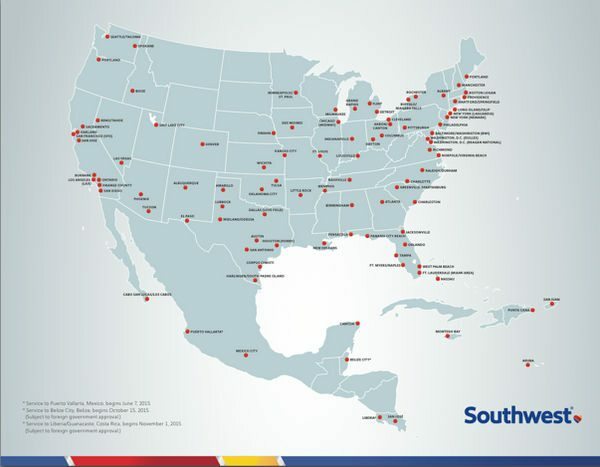 Great resource Daraius — and I’d missed all the very helpful posts from earlier this year on new Southwest routings, and which hotel chains are at which destinations. (so much more useful and visual that the miserable Southwest web site non-tools — take notes Southwest). 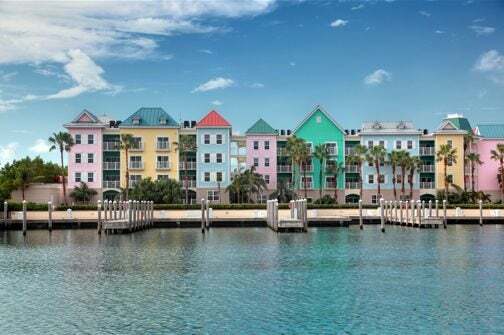 A few things to add: IHG every fall and late spring offers half prices points reservations at many of their Caribbean & Mexican based properties…. going to Aruba myself next month. (for 12.5k per night. ) List changes each quarter, and slots limited. Would be great to see you do a post on the VERY significant taxes (after miles) on international flights — they’re especially bad/burdensome on flights to Bahamas and Jamaica. Why is that exactly? Likewise, any realistic ways to pay those fees with points? Note to Susan R above — the newer Chase brakes apply more to Chase’s own cards (such as Sapphire & Ink).